Registering for an account and/or participating in any tournament offered on MahjongTime.com ("the Site") signifies your knowledge of and agreement to be bound by the most current version of these Terms and Conditions. The Site may modify these Terms and Conditions at any time. Your continued use of the Site following such modifications signifies your acceptance of those modifications. You are responsible for reviewing these Terms and Conditions periodically for any such modifications. This Site may include inaccuracies or typographical errors that may be corrected as they are discovered at MahjongTime's sole discretion. Changes may be made at any time to the information, names, text, software, images, pictures, logos trade-marks, products and services and any other material displayed on, offered through or contained on this Site. These Terms and Conditions will be governed and construed in accordance with the laws of the State of California, irrespective of any principles of conflicts of law. By registering for an account and/or participating in any tournament offered on the Site, you agree that any dispute that cannot be resolved between the parties shall be resolved individually, without resorting to any form of class action. You further agree that any legal action arising from any dispute shall proceed only in the state or federal courts located San Diego California, and you hereby submit to personal jurisdiction and venue in such courts for the purposes of litigating any such action. These Terms and Conditions, in connection with the other obligations and rules detailed in writing on the Site, constitute the entire agreement between you and the Site and cannot be modified by you. These Terms and Conditions cannot be modified on an individual basis by any person affiliated, or claiming affiliation, with the Site. Nothing in this subsection will prevent the Site from modifying the terms of these Terms and Conditions and posting such modifications on the Site. 4. Be physically located in a U.S. state in which participation in the tournaments offered on the Site is unrestricted by law. Site DOES NOT offer games requiring a cash entry fee ("Cash Competitions") to users accessing the Site from the following states: Arkansas, Connecticut, Delaware, Illinois, Iowa, Louisiana, Maryland, Montana, South Carolina, South Dakota, Tennessee, Arizona, Florida and Vermont. Additionally, the Site (a) DOES NOT offer game Cash Competitions if you reside in, or access the Site from, Indiana or Maine, VOID WHERE PROHIBITED OR RESTRICTED BY LAW. Notwithstanding Section 2.1, the following persons are ineligible to receive any prize offered on the Site: employees, officers, and directors (and their immediate family members) of the Site, its parent companies, subsidiaries, and affiliates; and any other person with access to non-public information regarding the operation of any tournament offered on the Site. For purposes of this section, immediate family members include parents, siblings, spouses, children, or any other person permanently residing in the same household with such employee, officer, or director. By registering for an account and/or participating in any tournament offered on the Site, you acknowledge that all the information contained on the Site may be protected, in all forms and media, by one or more valid copyrights, patents, trademarks, trade secrets, or other proprietary rights, and that all such rights are owned by the Site. You may not modify, publish, participate in the transfer or sale of, create derivative works from, or in any way exploit this information, except that you may download one copy for your personal, non-commercial home use only, provided you keep intact all copyright and other proprietary notices. The Site neither warrants nor represents that your use of materials displayed on the Site will not infringe rights of third parties. While the Site uses reasonable efforts to include accurate and up-to-date information, the Site makes no warranties or representations as to its accuracy. The Site assumes no liability or responsibility for any errors or omissions in the content of the Site. Any communication or material you transmit to the Site by electronic mail or otherwise, including any data, questions, comments, suggestions, or the like, is and will be treated as, non-confidential and non-proprietary. Anything you transmit or post may be used by the Site or its affiliates for any purpose, including, but not limited to, reproduction, disclosure, transmission, publication, broadcast and posting. Furthermore, the Site is free to use any ideas, concepts, know-how or techniques contained in any communication you send to Site for any purpose whatsoever including, but not limited to, developing, manufacturing and marketing products using such information, without any additional compensation to you. The trademarks, logos, and service marks (collectively the "Trademarks") displayed on the Site, including the names of all the games and puzzles, are registered and unregistered Trademarks of the Site and/or others. Nothing contained on the Site should be construed as granting, by implication, estoppel or otherwise, any license or rights to use any Trademark displayed on the Site without the written permission of the Site or such third party that owns the Trademark displayed on the Site. Your misuse of any Trademark displayed on the Site, or any other content on the Site, except as provided in these Terms and Conditions, is strictly prohibited. You are also advised that the Site will aggressively enforce its intellectual property rights to the fullest extent of the law, including the seeking of criminal prosecution where appropriate. By registering for an account, you agree that the Site may display, print, broadcast/stream your player name, tournament and game records. By accepting any prize from the Site, you agree to allow the Site to print, publish, broadcast/stream and use, worldwide, in any media and at any time, your name, picture, voice, likeness, and/or biographical information for promotional purposes without additional compensation. You are subject to all laws of the state, province and/or country in which you reside and from which you access the Site and are solely responsible for obeying those laws. You agree the Site cannot be held liable if laws applicable to you restrict or prohibit your participation. The Site makes no representations or warranties, implicit or explicit, as to your legal right to participate in any tournament offered on the Site nor shall any person affiliated, or claiming affiliation, with the Site have authority to make any such representations or warranties. You are subject to all laws of the state, province and/or country in which you reside and from which you access the Site and are solely responsible for obeying those laws. You agree the Site cannot be held liable if laws applicable to you restrict or prohibit your participation. The Site makes no representations or warranties, implicit or explicit, as to your legal right to participate in any tournament offered on the Site nor shall any person affiliated, or claiming affiliation, with the Site have authority to make any such representations or warranties. It is the policy of the Site, in compliance with the United States’ Internal Revenue Service regulations, to send a Form 1099 to any person who wins in excess of $600 (USD) on the Site in any given year. However, you remain solely responsible for paying all federal and other taxes in accordance with the laws that apply in your state, province, and/or country of residence. At registration, you are required to submit the following information: an alias that will be your player name, a password and your e-mail address. The Site reserves the right, in its sole discretion, to change and/or suspend/terminate offensive aliases. Upon establishing a positive Site account balance for entry fee tournaments, you are required to submit the following information: full name, permanent residential address, phone number and credit card or other payment information. Please note that for every credit card deposit made, an authorization request in the amount of at least $15 will be applied to your credit limit, even if the actual amount charged may be lower. In addition, if your total winnings on the Site in any given year reach $600, the Site will request that you submit your social security number in order to send you a Form 1099, as required by the Internal Revenue Service regulations. Failure to provide your social security number at that time will result in the Site’s inability to credit your account for any winnings in excess of $600. The Site will not intentionally disclose any personally identifying information about you (including information submitted on the application form, your social security number, your e-mail address, information obtained by the Site from cookies, and information regarding your IP address) to third parties without your consent except where the Site, in good faith, believes such disclosure is necessary to comply with the law or to enforce these Terms and Conditions or other rules of the Site. Your acceptance of any prize from the Site constitutes consent for the Site’s disclosure of personal information as described in Section 2.5. The Site reserves the right to collect general demographic and other market information that does not personally identify you to any person without additional consent. New Registrants are automatically opted-in to receive all six types of MahjongTime.com e-mails: promotional marketing e-mails, promotional partner e-mails, newsletters, fairness e-mails, fun (i.e. tournament- or game play- related) e-mails, and financial e-mails. You represent and warrant that all the information you supply to the Site is complete and accurate. Knowingly submitting incomplete or inaccurate information will result in immediate termination of your account and forfeiture of any prizes to which you are otherwise entitled. The Site reserves the right to ban users who violate these standards, or who in any way abuse the community purpose of the chat areas. The Site reserves the right to remove any posts for any reason. You must be at least 18 years old to participate in any part on the Site. Profanity, obscenities, or the use of **asterisks** or other "masking" characters to disguise such words, is not permitted. Obscene, lewd, slanderous, pornographic, abusive, violent, insulting, indecent, threatening and harassing language of any kind will not be tolerated. Site player names will be displayed as "Your Name"; impersonating other players is not allowed. Opinions or comments on the subject at hand are welcomed, but attacking (flaming) individuals, companies or products is not allowed. Advertising or promotion of other companies or URLs is not allowed. Please limit posting to the subject of the Site’s games, message board or site. Do not share personal information (your name, phone number, home address, password) with others on the site. No advertising of any kind is allowed in messages. No copyrighted materials are allowed in messages. The information disclosed in the Site’s chat rooms or message boards becomes property of the Site and is revealed to the public. The Site is not responsible for any information you choose to disclose to others. Advanced fonts, java, tables, html, or other programming codes or commands are not allowed in messages. The tournaments offered on the Site will function best if your computer system meets the following requirements: See the Technical Support section of the FAQ. Account Suspension: Upon the receipt of a credible and validated complaint, the Site may also elect to immediately suspend the membership of the user implicated in the abuse. Suspension serves as a "Final" warning and will prevent the abuser from continuing their abusive "Spamming" behavior. The Site will evaluate each validated abuse incident on a case-by-case basis and impose Termination or Suspension at its sole discretion. The Site reserves the right to lift the suspension of a user at any time, at its sole discretion. Account Termination: Upon the receipt of a credible and validated complaint, the Site may immediately terminate the membership of the individual user implicated in the abuse. Termination results in the immediate closure of the referral account, the loss of all referrals, the forfeiture of any unpaid referral money on account, a prohibition against any future membership, and the user will lose the right to compete in any tournament play. If you wish to report a violation of our Anti-Spam Policy, please forward all evidence of abuse to: abuse@MahjongTime.com Please refer responsibly! You may establish only one account per person, and up to two accounts per computer or address, to participate in the activities offered on the Site. The Site reserves the right to monitor any effort to establish multiple accounts; in the event the Site discovers that you have opened more than one account per person, all additional accounts will be closed without notice and continued violation will result in the termination of any and all of your accounts. The Site also reserves the right to deny access to anyone, including, but not limited to those players who use proxy servers and/or IP addresses residing in certain geographical areas outside of the U.S. The Site may impose dollar amount limitations on the credit card transactions in which you engage to fund your activities on the Site. The Site may also impose limitations on the net dollar amount you may lose on the Site in any calendar month; should your losses reach the designated limit, your play in the tournaments offered on the Site will be restricted until the beginning of the next calendar month. The Site reserves the right to change these dollar amount limitations at any time. Game Credits is defined as any credit deposited by MahjongTime.com on an account, including, but not limited to promotional credits, entry fee credits, accounting credits, prize credits, and gift credits. A dormant account shall be defined as any account that has been inactive for greater than 180 days. Provisional players who have not yet played a certain number of tournaments in a particular game or tournament type may be restricted in the number and type of tournaments they may enter. Anyone who displays behavior consistent with the use of unfair methods on the Site, including but not limited to the opening and/or use of multiple accounts, the use of unauthorized or altered software or hardware to assist play, intentionally poor play in certain games in order to achieve a broader competitive advantage (i.e. "sandbagging"), the deliberate transfer of money between accounts (i.e. "money laundering"), harassment of other participants, posting of objectionable material, any breach of the terms of the agreement between you and the Site, or any breach of the security of your account or the Site (collectively, "Abuse"), shall be subject to immediate sanction (as determined by the Site in its sole discretion), up to and including account termination and blocking of Site access and, in the case of money laundering, disclosure to the FBI in accordance with the terms of certain recently passed federal legislation. Additionally, all winnings (if any) may be voided at the sole discretion of the Site. The results of all tournaments offered on the Site depend on the number and skill level of the players participating in such tournaments; precise odds of winning are therefore unavailable. Prizes are generally cash amounts, which are deposited directly on the winners' accounts. The cash value of the prizes offered in Limited Entry tournaments will be disclosed at the beginning of such tournaments. If a Limited Entry tournament has to close prematurely, such as for maintenance or technical problems, the prize for the tournament will be proportional to how full the tournament was at the time of closing. The cash value of the prizes offered in Progressive Jackpot Tournaments will depend on the number of participants participating in such tournaments, and will not be available until such tournaments have ended. Except where otherwise noted, in all tournaments with actual cash entry fees, the Site retains a portion of the aggregate total as a management fee. For guest competitions without actual cash entry fees, however, the Site may, in its sole discretion, choose to waive the retention of management fees. The Site reserves the right to aggregate user withdrawal requests for systematic processing by the Site's accounting department approximately twice per month, with checks generally being sent out on the 15th and the last day of each month (or the next business day following those dates, if the 15th or last day falls on a weekend or holiday), provided the withdrawal request was made with a reasonable amount of notice (with the check being deferred until the next processing cycle if sufficient notice was not given). Lists of winners will be posted on the Site immediately following each tournament, except for the case of tournaments with substantial (as determined by the Site in its sole discretion) prizes, where lists may be delayed for up to five business days while verification of the results takes place in order to help prevent potential abuse. The results and the winners of each tournament offered on the Site will be determined by the Site. By registering and/or participating in any tournament, you agree to be bound by these determinations. Rules for each specific tournament offered on the Site can be found in the Game Rules. BY REGISTERING FOR AN ACCOUNT AND/OR PARTICIPATING IN ANY TOURNAMENT OFFERED ON THE SITE, YOU AGREE THAT THE SITE IS NOT RESPONSIBLE FOR ANY DAMAGE, LOSS, OR INJURY RESULTING FROM THE USE, ACCESS, OR ATTEMPTED USE OR ACCESS OF THE SITE. YOU FURTHER AGREE THAT THE SITE IS NOT LIABLE FOR ANY DAMAGE, LOSS, OR INJURY CAUSED BY DOWNLOADING ANY INFORMATION FROM THE SITE. WITHOUT LIMITING THE GENERALITY OF THE FOREGOING, YOU AGREE THAT THE SITE IS NOT LIABLE FOR ANY DAMAGE TO YOUR PERSONAL COMPUTER, ANY DAMAGE, LOSS, OR CORRUPTION OF DATA, OR ANY CONSEQUENTIAL OR INCIDENTAL DAMAGES ARISING FROM THE USE OF THE SITE. The Site also assumes no responsibility, and shall not be liable for, any damages to, or viruses that may infect, your computer equipment or other property on account of your access to, use of, or browsing in the Site or your downloading of any materials, data, text, images, video or audio from the Site. In case of a malfunction or disruption of service for which the Site is responsible that prevents you from completing a tournament in which you have begun to participate, the Site will, upon receipt of a refund request, refund the entry fee charged for that unfinished tournament only. The Site reserves the right to determine, in its sole discretion, whether it is responsible for any such malfunction or disruption. The Site also reserves the right to limit your tournament play or terminate your account should the Site determine, in its sole discretion, that you have intentionally caused such a malfunction or disruption. The Site is not liable for any potential winnings from any unfinished tournament. ALL GOODS AND SERVICES PROVIDED ON THE SITE ARE PROVIDED AS IS, WITHOUT WARRANTY OF ANY KIND, EITHER EXPRESS OR IMPLIED, INCLUDING, BUT NOT LIMITED TO, THE IMPLIED WARRANTIES OF MERCHANTABILITY, FITNESS FOR A PARTICULAR PURPOSE, OR NON-INFRINGEMENT. NO PERSON AFFILIATED, OR CLAIMING AFFILIATION, WITH THE SITE HAS AUTHORITY TO EXTEND SUCH WARRANTIES. You agree that the Site is not liable for any loss caused by any unauthorized use of your credit card or other method of payment by a third party in connection with the Site. Any attempt to defraud the Site through the use of credit cards or other methods of payment, regardless of the outcome, or any failure by you to honor legitimate charges or requests for payment will result in immediate termination of your account, forfeiture of any prizes to which you are otherwise entitled, and civil and/or criminal prosecution. By registering for an account and/or participating in any tournament offered on the Site, you agree that the Site is not responsible for any damage, loss, or injury resulting from hacking, tampering, or other unauthorized access or use of the Site or your account. Any attempt to gain unauthorized access to the Site’s systems or any account, interfere with the procedures or performance of the Site, or deliberately damage or undermine the Site is subject to civil and/or criminal prosecution and will result in immediate termination of your account and forfeiture of any prizes to which you are otherwise entitled. Any attempt to participate in any tournament offered on the Site by means of automatic, macro, programmed, or similar methods, or to otherwise commit fraud with regard to the Site, will result in civil and/or criminal prosecution, termination of your account, and forfeiture of all prizes to which your are otherwise entitled. You, as the holder of your account, are solely responsible for all obligations and (assuming compliance with all the other Terms and Conditions of the Site) entitled to all benefits accruing thereto. You may not allow any other person to access your account, access the Site, accept any winnings, or participate in any tournament using your account information. Your account is not transferable to any other person. By registering and/or participating in any tournament offered on the Site, you agree to indemnify, defend, and hold the Site harmless from or for any claims, liability, damages, and/or costs (including attorneys' fees) arising from any use of your account by any person. By registering for an account and/or participating in any tournament offered on the Site, you consent to allow the Site to access your account information to investigate complaints or other allegations of abuse. If applicable, all charged monies (deposits), less entry fees and withdrawals, will be returned to the player. All winnings (if any) may be voided at the sole discretion of the Site. Terms and Conditions for tournaments with merchandise prizes are the same as cash prize tournaments, with the following exceptions. Players may request from the Site an offer of cash payment in lieu of any prize won, although the Site is under no obligation to grant such request. If the Site elects, in its sole discretion, to offer a cash payment in lieu of any prize won, the Site reserves the right to determine the exact amount of the cash offer, even if such cash offer may be less than the value of the prize. The player may then elect to accept the Site's cash offer, accept the original prize, or decline both and take nothing. The Site also reserves the right to credit the account of a merchandise prize winner with cash (the amount of which is in the Site's sole discretion) in the event the prize remains unclaimed for a certain period of time which shall in no event be less than 30 days. -If a prize has become suddenly unavailable, or if the player is outside the continental U.S. or if there are other difficulties in shipping, however, the Site has the right to substitute freely the cash equivalent (determined by the Site's estimated cost to obtain the merchandise prize, and not the manufacturer's suggested retail price or any other price) for any merchandise prize. Players cannot return or exchange prizes that have already been sent for game or cash credits. For all merchandise tournaments, a minimum number of user entries is required in order for the described prize to be awarded to the tournament winner. If the number of user entries falls below this minimum, the prize will be cash. Two players from the same household or who share a computer address cannot both win a prize in a Progressive Merchandise or Unlimited Entry Merchandise tournament. In such a case, the higher-scoring player will appear on the Tournament Standings Page and receive the prize; the other player will not appear on the Tournament Standings Page. Limited Entry Merchandise tournaments have no time limit, and accordingly remain open until the tournament is full, although if any such tournament fails to close within a reasonable amount of time, the Site reserves the right to cancel the tournament and refund all associated user entry fees. In the event of a tie in any cash prize tournament, the prize is divided equally. However, since no one has much use for half a camcorder or half a diamond ring, in the event of a tie in a merchandise prize tournament, the player who posted the tying score first will be considered to have finished ahead of the other tying player(s). For example, if user X and user Y tie for the 1st place with a score of 1500, and user X finished his/her game at 2:00pm, and user Y finished his/her game at 3:00pm, user X would win the 1st place prize, and user Y would win the 2nd place prize (if any). As with our cash prize tournaments, users are responsible for applicable income taxes for merchandise prizes. Either the Manufacturer’s Suggested Retail Price, or the Site acquisition price, at our discretion, will be used as the cash value of the merchandise prize. The value of the prize will be posted to your account as winnings, and will be deducted from your account as a withdrawal (corresponding to the shipping of the merchandise). Thus, there will be no change in the dollar value of your account, but your year-to-date winnings will increase. Unless otherwise specified, merchandise will ship within 14 days of the date the prize is claimed by the winning player. All goods are shipped F.O.B. Origin, and accordingly the Site takes no responsibility for any damage incurred during shipping. Costs of shipping are borne by the user, and will be deducted directly from the user’s account. In certain specifically disclosed merchandise tournaments, the Site may choose to bear the cost of shipping within the continental U.S., although the Site is under no obligation to do so. In the case of merchandise covered by a manufacturer’s warranty, the manufacturer and not the Site is responsible for initial defects, subsequent use or misuse or covered repairs. In the case of merchandise not covered by a manufacturer’s warranty, the merchandise is offered as is, and the Site is not responsible for any defects, use or misuse or repairs. The Site makes no representations or warranties with respect to the authenticity or genuineness of any merchandise prizes, particularly collectible prizes. Prizes involving travel and tourism will be from a specified list of cities. Any player who wins such a prize and wishes to depart from a city not on the specified list will be required to provide his or her own transportation to one of the specified cities. Information required to make the reservations for a travel prize, including the names and ages of all travelers, departure city, and, if applicable, choice of travel dates, must be provided within one week of the initial request for such information, or the prize may be voided. The Site is not responsible for any damage, injury or other liability incurred in connection with any travel or tourism, nor is the Site responsible for any cancellation, postponement, rescheduling or quality control issues with respect to fulfillment by the third-party travel or tourism providers. For prizes requiring local, state or federal licensing or approval (e.g. a driver’s license for an automobile), players must provide evidence of such licensing or approval within one week of the initial request for such information, or the prize may be voided. Any form of fraudulent activity on the SITE, as determined at the SITE's sole discretion, is strictly prohibited. Fraudulent activity may include, but is not limited to, stolen credit cards, transfer of funds to other player accounts forgery, collusion, and the provision of false Registration Data or other requested information. Any form of cheating on the SITE, as determined at the SITE's sole discretion, is strictly prohibited. Cheating includes any form of manipulation of the outcome of the hand or game, so that the odds of winning are changed to favor the Player. In particular, and without limitation, cheating includes any form of collusion as that term is commonly understood in the industry. If any customer is found to be participating in any form of collusion or other activities that we consider to constitute cheating his or her account may be permanently closed and any balance may be at risk of forfeiture or withholding as per section 7 of this agreement. You become bankrupt or analogous proceedings occur anywhere in the world. When you accept this Agreement and complete the Site registration process, you create an account ("Account") and select a login name and password. Your login name is your online identity. You may not use a login name that is used by someone else, and your login name cannot be vulgar, or otherwise offensive, or be used in any way that violates the Terms of Service. You may not provide false information during the registration process. You are solely responsible for all activity on your Account and for the security of your computer system. It is important that you not reveal your password to other users. The Site will not ask you to reveal your password. You agree not to reveal your password to other users. You agree to indemnify and hold the Site harmless for any improper or illegal use of your Account. This includes illegal or improper use by someone to whom you have given permission to use your Account. Your Account is at risk if you let someone use it inappropriately and your membership is subject to termination if you or anyone using your Account violates our Terms of Service. If your Account is terminated, you may not join the Site again without our express permission. You may not sell or charge others for the right to use your Account. You may be a Member of the Site without paying the Site to participate in a game or other activity. However, the Site will charge monthly subscription fees to access certain areas of the Service, play certain premium games and participate in related activities on the Site. You must be a member of the Site and pay the subscription or other fees to participate in these activities. If you must pay a subscription fee to access part of our Service or play a particular game, this information will be posted on the Site. You will be given the option to subscribe to the game by providing us with a valid credit card number and billing information. Current subscription fees and other billing information are published in the FAQ. 8.2.1 Payment by Credit Card. You must use a credit card to pay for your subscription(s). When you provide credit card information to the Site, you represent to the Site that you are the authorized user of the credit card that is used to pay subscription or other fees. Each month that you use the Site, you agree and reaffirm that the Site is authorized to charge your credit card for the subscription fee. You agree to promptly notify the Site of any changes to your credit card account number, its expiration date and/or your billing address, and you agree to promptly notify the Site if your credit card expires or is canceled for any reason. 8.2.2 Charges to Your Credit Card. YOUR SUBSCRIPTION FEES ARE PAYABLE IN ADVANCE AND ARE NOT REFUNDABLE IN WHOLE OR IN PART. the Site reserves the right to change our fees or billing methods at any time and the Site will provide notice of any such change at least thirty (30) days in advance. All changes will be posted on the Site and you are responsible for reviewing the billing section of the Site to obtain timely notice of such changes. Your continued use of the Service of thirty (30) days after posting of the changes on the Site means that you accept such changes. If any change is unacceptable to you, you may cancel your Membership or a particular subscription at any time, but the Site will not refund any fees that may have accrued to your Account before cancellation of your Membership or subscription, and we will not prorate fees for any subscription. If your use of the Service is subject to use or sales tax, then the Site may also charge you for any such taxes, in addition to the subscription or other fees published in the billing section of the Site. For further information please refer to the FAQ. As the Account holder, you are responsible for all charges incurred, including applicable taxes, and all purchases made by you or anyone that uses your Account, including your family or friends. This means that, unless your Account or credit card information is obtained unlawfully or fraudulently by someone other than those authorized by you to use your Account, you will be responsible for all usage and purchases on your Account. The rating restoration policy for an account that has been inactive for more than 1 month is to restore 75% of the rating points and the corresponding belts to these ratings. The restoration may only occur in the case of a repayment of the debt for the months that the account has been inactive. If you would like to restore 100% of your ratings and belts, and if you have not had a membership for up to 12 months, you may restore 100% of your ratings and belts through paying a penalty of $5 per month of inactivity, but no less than $25 if you have not been a member for up to 5 months. Therefore, the penalty for 2, 3, 4 or 5 months of inactivity is $25, 6 months - $30, 7 months - $35, …, 12 months - $60. For some games and activities, we may offer a free trial subscription. If you accept a free trial subscription, we will begin to bill your Account for that game or activity when the free trial subscription expires, unless you cancel your subscription before that time. You are always responsible for any Internet service provider, telephone, and other connection fees that you may incur when using the Site, even when we offer a free trial subscription. We may provide links to other web sites. Some of these web sites may charge separate fees, which are not included in any subscription or other fees that you may pay to the Site. The Site may also provide access to third-party vendors, who provide content, goods and or services on the Site or the Internet. Any separate charges or obligations you incur in your dealings with these third parties are your responsibility. Your MahjongTime subscription will be automatically renewed on a monthly/yearly basis. We will bill the monthly subscription fee plus any applicable tax to the Payment Method you provide to us during registration (or to a different Payment Method if you change your account information). Your membership will automatically renew for successive monthly/yearly subscriptions, without prior notice to you, unless and until you cancel your membership or we terminate it. You must cancel your membership before it renews in order to avoid billing of the next month's/year’s subscription fees to your Payment Method. You may cancel your subscription to MahjongTime at anytime and you will not be charged for any additional renewals. For example, if your renewal date is the 5th of each month and you cancel your MahjongTime subscription on June 10th, then you will not be charged on July 5th (for the July 6 to August 5 period) and your MahjongTime subscription will terminate on July 5. However, if you cancelled on June 2nd, then your MahjongTime subscription would terminate on June 5th. WE DO NOT PROVIDE REFUNDS OR CREDITS FOR ANY PARTIAL MONTH SUBCRIPTION PERIODS OR UNPLAYED GAMES. Upon cancellation, your membership will be downgraded to Free Player on the effective date of the termination. We reserve the right to terminate your account for any or no reason. 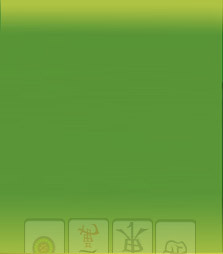 8.2.8 Rating and Player Inactivity After 30 days of inactivity in particular mahjong style, player's rating drops 1% until the player plays a match in this mahjong style.